Mark Richt’s first camp of the summer has netted a commitment for the Hurricanes. 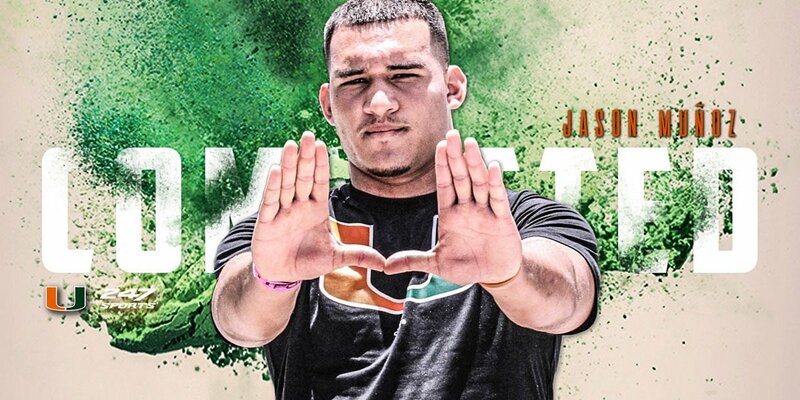 Fort Lauderdale St. Thomas Aquinas three-star defensive end Jason Munoz gave a verbal pledge to Miami on Saturday just hours after landing an offer from UM. Munoz, who is ranked by 247Sports as the nation’s No. 51 strong-side defensive end this cycle, missed all of last season with a broken fibula, but recovered quickly from the injury and put together a strong spring at St. Thomas Aquinas which was one of the main reasons why Miami wanted to get him on campus and workout him out as soon as possible. Munoz picked the local Hurricanes over early offers from Kentucky, Missouri, Louisville, Pittsburgh, Maryland and Boston College. He said the decision to stay home was an easy one after talking with Richt and new defensive line coach Jess Simpson. 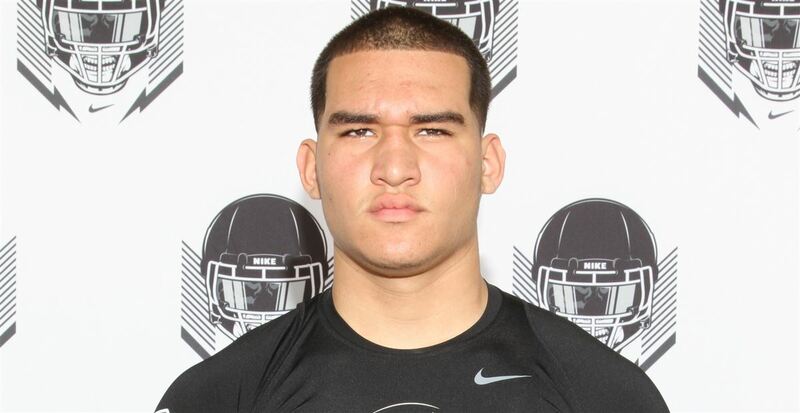 Munoz joins four-star linebackers Avery Huff and Anthony Solomon as commits from St. Thomas Aquinas this cycle. Some think Miami might not be done at the South Florida powerhouse as the coaches continues to target four-star defensive tackle Braylen Ingraham along with Top100 safety Jordan Battle and four-star cornerback Jaden Davis.